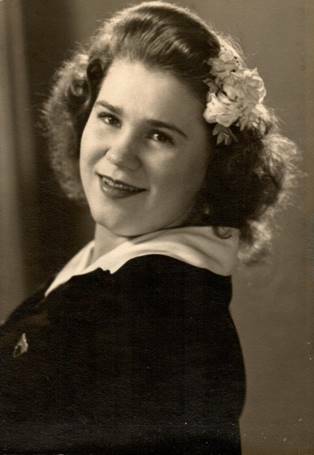 Marian Ellerbeck Stinnett, 93, of Richmond, Virginia, formally of the Moberly area died November 26, 2018. A petite bundle of energy, Marian lived her life with a quiet joy and faith. Marian spent the last 11 years of her life as a resident of Lakewood, and her family would like to thank the staff for the excellent care she received. She was well known for her curious nature, her love of Skipbo and her unexpected humorous comments and observations. Marian was born Marian B. Ellerbeck in Cairo, Missouri on November 10, 1925. In 1947, she married Marshall L. Stinnett and his career took their family to various states in the Midwest, and eventually to Virginia. Marian was a housewife tending to family, home and finances until 1975 when she began working for the Administrative Office of the United States Courts. At the age of 78 she retired from a position responsible for administrative operations for which she earned an Award for Meritorious Service. Marian was a devoted caregiver to her husband Marshall, who had Alzheimer’s disease and passed away at the age of 74. She then enjoyed travel adventures with two of her sisters, her daughters and her son’s family. For forty years, Marian was an active member and deacon of the First Christian Church of Alexandria, Virginia. She was well known for being a fashion plate and wore her ever present high heeled shoes. Marian is survived by four children: Larry Stinnett (Cindy), of Austin, TX, David Stinnett of Richmond, VA, Marsha Morgan (Herb) of Rockville, VA, and Melanie Stinnett of Arlington, VA; two grandsons Riley Stinnett (Sam) and Jordan Stinnett; and one great grandson Sonny Stinnett. In lieu of flowers, the family suggests a contribution in memory of Marian to the First Christian Church, 2723 King Street, Alexandria, VA 22302. Please include Marian’s name in the byline of the check. Services honoring and celebrating Marian’s life were held at the Cater Funeral Home Chapel.Committal prayers and burial followed in the Oakland Cemetery.